Mike Okoth Origi has the distinction of being the first Kenyan ever to play professional football in Europe. He was a true trailblazer. It comes as no surprise therefore that his son Divock Origi is poised to become the first person of Kenyan descent to play in the world cup. 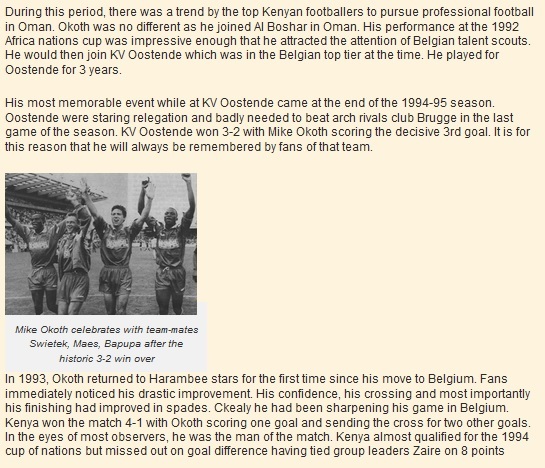 In 1996, after having spent a season playing in the second tier with Oostende who had been relegated, Okoth returned to the Belgian top tier when he was signed by Genk. His biggest successes at club level came at Genk. In 1998 Genk won the Belgian league and in 2000, they won the Belgian cup beating Standard Liege 4-1 in the final. 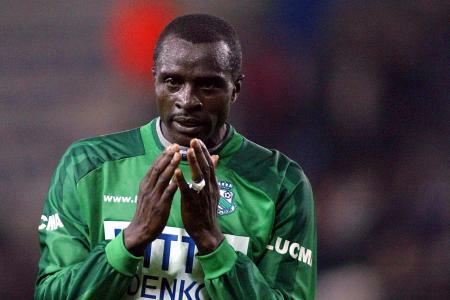 He would stay at Genk until 2001 when he joined RWD Molenbeek. 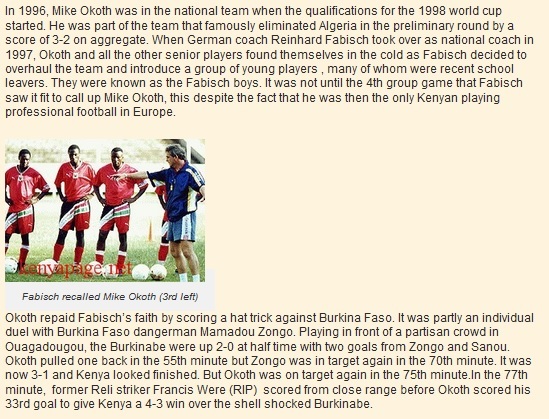 This entry was posted in Kenya Football articles and profiles, Kenya Sports news and commentary and tagged Anthony Origi, Arnold Origi, Austin Oduor Origi, Divock Origi, Gerald Origi, Mike Okoth Origi, Shabana. Bookmark the permalink. 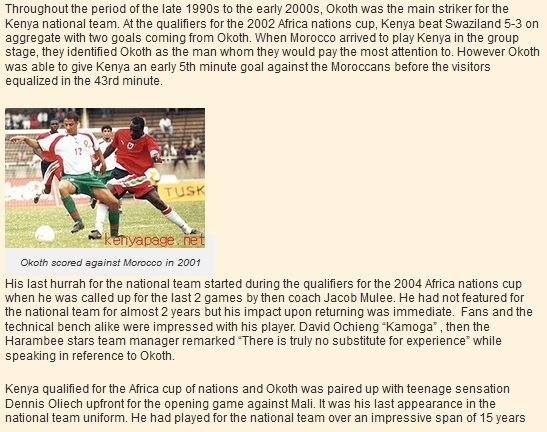 you have such a great history on okoth. 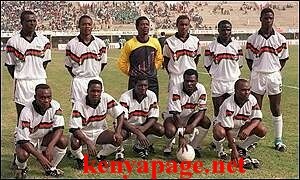 kindly send me a list of current professional kenyan players who are playing abroad.